When I went to college back in the mid-1980's, most of my textbooks were written by the professors at that university, and we had no choice but to purchase them. I'm sure they did this to supplement their incomes, and there's no law against that. Sometimes you could sell your books at the end of the year to students who would be taking the same course. But the professors often came out with new editions (usually with minor changes) and required that incoming students use the latest and greatest. That made your expensive textbook worthless on the resale market. Digital textbooks have been around for several years, but they're still expensive. And I'm sure professors at many institutions are still playing the "buy the latest version" game. But there's a move afoot to make digital textbooks available for free, borrowing a page from the playbook of the open-source software movement. Openstax College is a nonprofit initiative that is supported by several philanthropical foundations. The free digital textbooks it provides to over 400 participating universities and colleges are selected for readability and peer-reviewed for academic rigor. Each book’s content is arranged to match the standard progressions of most college courses. Since the start of the program two years ago, the folks behind OpenStax estimate that they've saved students over $155 million with their free textbooks. Their goal is to provide free college textbooks for ten million students. The three publishing companies that dominate the higher education market (Pearson, McGraw-Hill and Wiley) must have some strong feelings about that. But the U.S. Bureau of Labor Statistics says that textbook prices have jumped over 800% in the past three decades, so maybe they'll do just fine. Currently, the Openstax library includes free texts on Math (including Calculus and Statistics), Science (Anatomy, Astronomy, Biology, Chemistry, and Physics), Social Sciences (American Gov, Economics, Macro-economics, Psychology, Sociology), and U.S. History. Currently, there are several dozen titles and they are suitable for freshmen and sophomore students. But it’s an excellent start on a truly paperless college education. The OpenStax textbooks can be read online with a web browser, or downloaded in PDF format for viewing on a PC or laptop. Free PDF viewing software such as Adobe Reader or Foxit Reader allows you to place annotations and highlighting in the text. EPUB format is also available for those who wish to view on a mobile device such as a tablet or ebook reader. And of course, you have the option to print all or selected portions of the book, if you need a physical copy. It’s simple and free to try an Openstax textbook. Just sign up for a free membership and download a PDF copy of any textbook. (Verified instructors can get a free printed copy.) Try a chapter or two on your own or on a class of students you teach. Then just incorporate Openstax into your teaching or learning program. Free and low-cost ancillary materials are available with each book. A free membership in the Openstax online community provides teachers, students, and administrators access to each other. Affiliate partners provide low-cost printed editions of books; homework resources; online assessments (quizzes and tests); and online tutorials. Improvement by the user community is a hallmark of the open-source movement, and textbooks are no exception. All users of an Openstax text are encouraged to submit corrections and suggestions for improvement. The goal is “to build the perfect textbook” for any course. If you attend one of the 4000+ schools around the world that are already using OpenStax College free textbooks, then the answer is YOU! 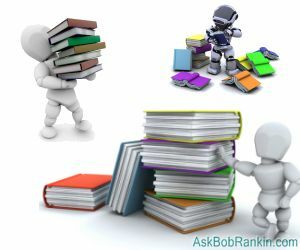 For autodidacts (do-it-yourself learners), Openstax is a broad, solid general education foundation that just happens to be totally free! It’s a rare 18-to-20-something who has the self-discipline and contemplative nature needed to direct his or her own teaching systematically and effectively. But if you are or know someone like that, Openstax texts can be an invaluable resource. Being part of a community of lifelong learners has its own unique benefits. Not only does it give you access to those who know more than you; it also gives you ways to practice and reinforce what you learn by helping other students. Perhaps in the future there will be no ivy-covered towers; no lecture halls; no unnecessary and expensive frills of a “college experience.” There may be just virtual communities of learners and mutual teachers, creating, sharing, and improving their own educational resources. Most recent comments on "Free College Textbooks? Yes!" I graduated from college in 1966. College textbooks were priced from $5 to $25. The same stupid rules applied about changing editions every other year. The insane inflation of textbook prices started slowly in the late 1960's. I know that I am old and naive but the prices of modern textbooks is outrageous. Thank you for this! I forwarded it to my two granddaughters who are at different stages in the university system. They've been paying upwards of $400/semester for books. I think I first heard about this 2 or 3 years ago. I really need to follow up with it this time. I am excited about what the market forces have done for text books. Let's hope it as a similar "destructive" impact on the 'Higher' Education monolith that is harming us. On a personal note: I'm so happy to see more and more people mentioning Foxit Reader for pdf use instead of that other company. It's not so much the professors trying to make the money (after all most profs DON'T write the books they assign) but the publishing companies. New editions mean new sales for them. My wife has started using online textbooks. That's a good option for students if there are no free textbooks. I went to college in the 70's & prices were starting to rise. I remember trying to sell a textbook back and was told it wasn't being used again. That fall when classes started back up I went into the bookstore and saw the same "discontinued" used book for sale. I was not a happy camper. Hi my name is Victoria im divorced mom with three kids and my daughter just started college and the books she needs cost so much even used and i dont know what to do !! I live on ssid due to multiple sclerosis so money is tight can you point me in the right direction.